Lockheed Martin subsidiary Sikorsky has announced the relocation of its forward stocking location from Brisbane to Perth to better support industry partners on the west coast of Australia. The Brisbane forward stocking location opened in 2016 to better support the flow of parts to customers in Asia Pacific’s remote region. 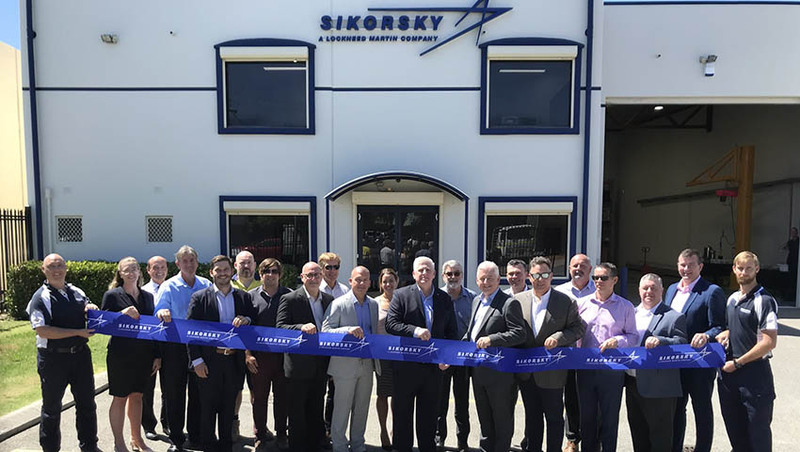 The FSL will continue being operated by Sikorsky Australia, the regional subsidiary of the US-based company Sikorsky, providing aftermarket support, including air-frame, component and rotor blade maintenance, along with material sales, design engineering, non-destructive testing and maintenance training throughout the Asia Pacific. Sikorsky anticipates that moving the FSL from Brisbane to Perth will further improve the availability of S-92 helicopters in the critical oil and gas regions in Western Australia and throughout the region, the company plans to increase stocking volumes at the FSL in Perth throughout the year. “Babcock provides a range of services to blue chip oil and gas companies from a number of remote locations in Australia, as well as in Dili, Timor-Leste, and we look forward to continued service and support from Sikorsky’s new facility in Western Australia,” said Andrew Cridland, managing director, Babcock Aviation Offshore Australasia. “Having a new FSL close to our headquarters in Perth and closer to many of our bases and offshore operations will help us better serve our customers throughout the region,” said CHC’s regional director for the Asia-Pacific market, Vince D’Rozario. Since 2016, Lockheed Martin has made significant investment into Sikorsky’s commercial sustainment to support both the S-92 and S-76 helicopters, including in a 24-hour, state-of-the-art customer care center in Trumbull, Connecticut, the opening of four FSLs worldwide, increase in the number of Sikorsky field service representatives, as well as the continued authorisation of Sikorsky customer support centers. Headquartered in Canberra, Lockheed Martin Australia is a wholly owned subsidiary of Lockheed Martin Corporation. The company employs more than 1,000 people in Australia working on a wide range of major programs spanning the aerospace, defence and civil sectors.